We help optimists change the world. We are dedicated to making our business a force for good by working with people who are making the world a better place, whether nonprofit, for profit or educational institutions. We provide consulting to help companies become Certified B Corporations. 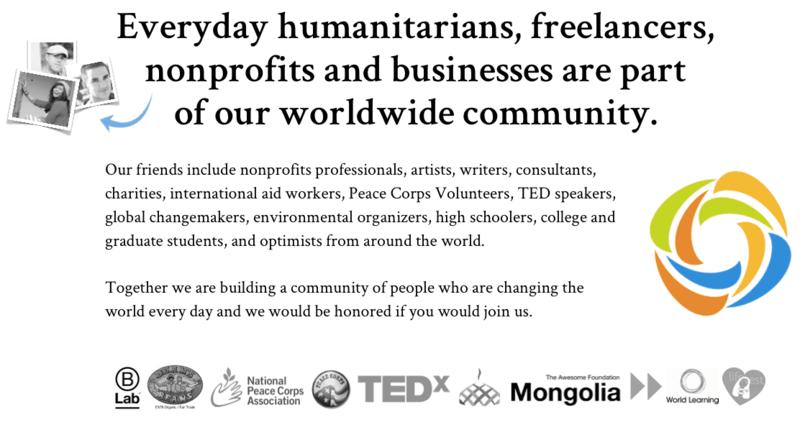 We provide pro-bono services to nonprofits who are trying to make a big impact in the world. And we operate a collaborative workspace and retreat center called the Optimist Center which empowers changemakers and entrepreneurs while making a minimal environmental impact. We donate 5% of our time to pro-bono work and in-kind donations and we are also proud to be a Certified B Corporation and member of 1% for the Planet.